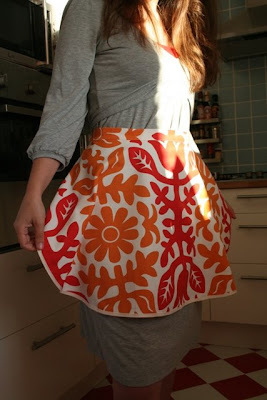 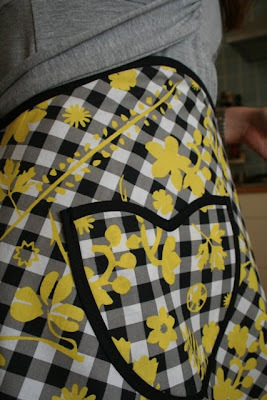 I have finally decided to try some of the patterns of that book I've told you about: A is for Apron. 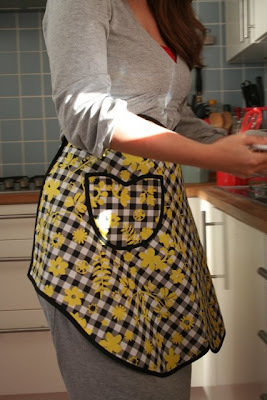 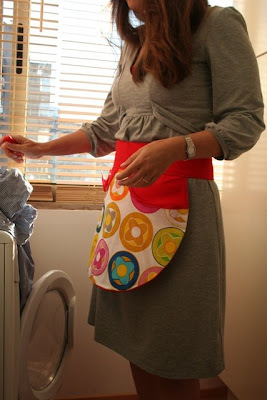 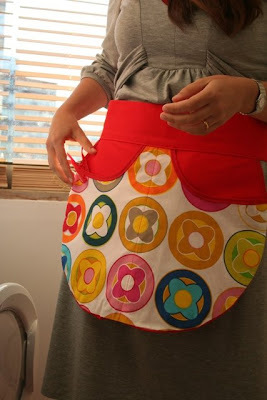 I started with the half aprons: these are the first three I made. 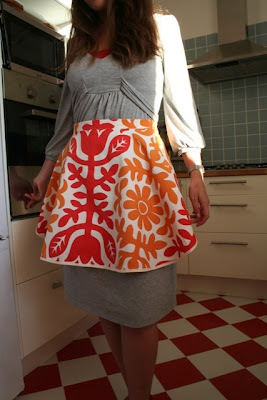 They're up for grabs at the shop.